Join Cannon Hall Farm for lambing season – one of Cannon Hall Farm’s most exciting times in the farming calendar. Their shepherds will be caring for hundreds pregnant ewes who will all be having lambs this Spring – and the farmers will be keeping everyone up to date with live Facebook broadcasts. They want to share the action with your family – as well as provide education and entertainment for the younger visitors. Join Cannon Hall Farm and help them welcome their new lambs (and hopefully see a brand new life brought into the world) with their packed agenda. * Access to the amazing soft play centre. Tickets are £9.95 per person for all day admission or £38 for a family of four on April 1 – 12 and April 23 to 30. 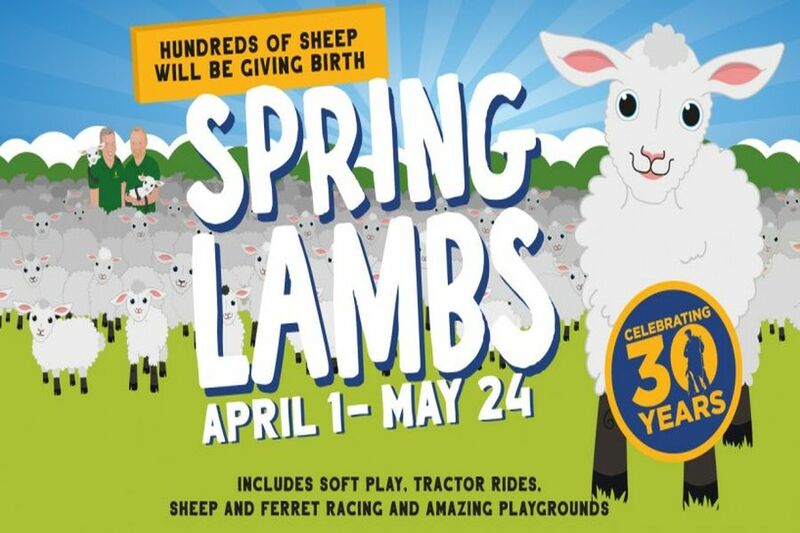 On April 13 – 22 the Easter event will be running in addition to the Spring Lambs – you can prebook your discounted tickets for that event on this link.